Sorry Laura, but Showtime just made a liar out of you. I guess it was too much to hope for. Just as it seems that now, as then, this show really is too innovative for any network. 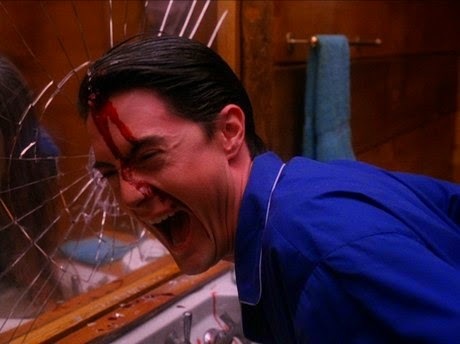 News coming out of WonderCon this afternoon, lighting up Twitter like a Christmas tree, is that the new episodes of Twin Peaks have been cancelled by premium cable network Showtime. You may remember that it was six months ago when the announcement came that a third season was in the works, and would debut exactly twenty-five years after the last episode aired in June of 1991. ...and now, apparently, that closure will not be happening. Can't express how disgusted I am by this. I don't know what happened but it was pretty widely known that David Lynch and Mark Frost were looking forward to this. So too were Kyle MacLachlan, Sherilyn Fenn and a bunch of others from the original cast. Maybe some sanity will prevail yet. I guess Netflix could pick it up still. If given the opportunity they would be crazy not to. UPDATE 7:47 p.m. EST: Well, this gets stranger by the hour. Now comes word that Showtime is probably still going to do Twin Peaks... but without Twin Peaks creator David Lynch at the helm. io9.com has the full story about what happened, which Lynch ascribes to not being given enough money to make it the way he wanted it to be. 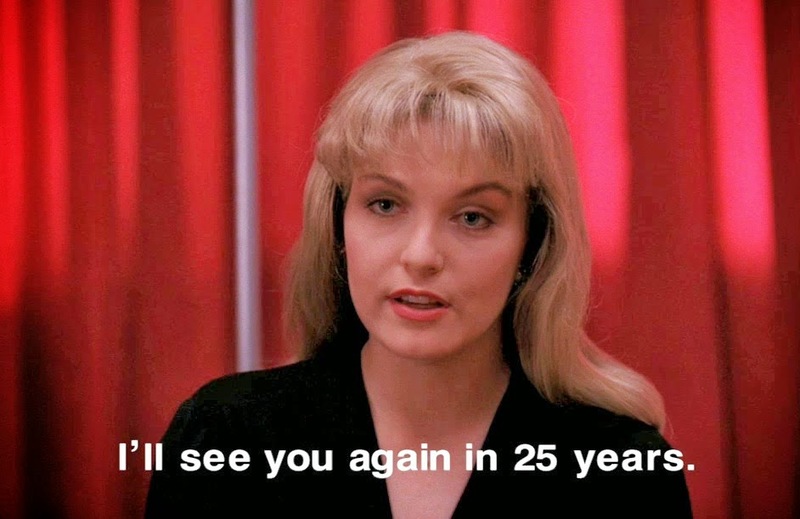 So we likely going to get Twin Peaks. But without David Lynch. I still think Netflix should step up to bat. THEY would provide Lynch all the cash he needs to do this and to do it right. Otherwise, anything Twin Peaks without Lynch's involvement is going to be a tough, tough sell. NOOOOOOOO!! Please say this isnt real! Hope Netflix or Hulu gets it then. Netflix nabbing Twin Peaks would be the single biggest thing they could have possibly done yet that would get new subscribers. you can make new Star Wars without George Lucas. You can not make new Twin Peaks without David Lynch. Netflix or Amazon need to come to the rescue. Showtime, listen to reason. Pay the man the money. Guess we'll never know now how's Annie. Screw that and open up the garbonsha. "Screw that and open up the garbonsha." If David Lynch isn't going to direct any new Twin Peaks, then he should be given the opportunity to make one of the new stand-alone Star Wars movies. SERIOUSLY! It almost happened anyway with Return of the Jedi. Lynch was Lucas' top candidate to direct it. But Lynch wanted too much creative control. By all accounts the two happily went their separate ways. Lucas got Richard Marquand to direct ROTJ and Lynch did Dune about the same time. But now the way is being opened for EVERY director to be a potential helmer for a Star Wars movie. Can you *imagine* a Star Wars movie directed by David Lynch?